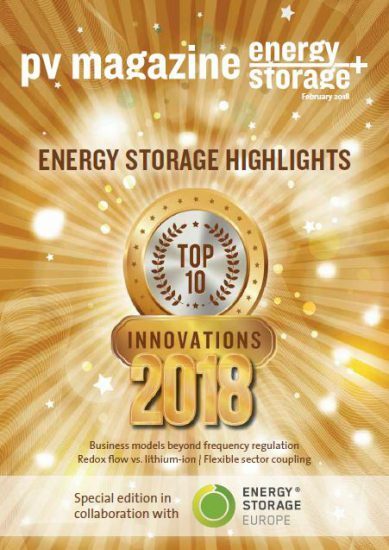 pv magazine in conjunction with Energy Storage Europe has published a 30 page special interviewing a range of industry experts with the aim of exploring a variety of upstream storage topics that are often overlooked, such as battery chemistries, recycling concerns, and business models. Apricum Partner Florian Mayr was part of an expert round table discussing some key themes arising from current developments in the energy storage market. You can read the transcript of this lively discussion on pages 27–32, entitled “Masked Surprises”. On page 23, you can read Apricum's LCOS calculation and key findings on redox flow storage under the title “Capacity with potential”. pv magazine's energy storage special will be distributed at the Energy Storage Europe conference in Düsseldorf, March 13–15, 2018. Planning to attend? Don't miss Florian's Mayr presentation on Day 1. More details here.